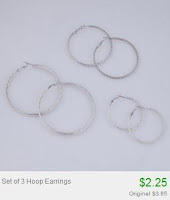 $2.25 for 3pc Jewelry Sets & More + 10% Off or Free Shipping! 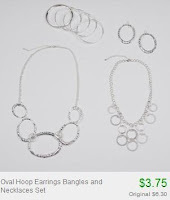 You won't find a single item priced more than $4. Even better, if this is your first Totsy purchase you'll get free shipping on your order! If you're not a new shopper, you can use the code couponcabin to save 10% off your order.